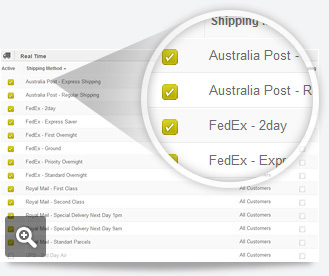 Direct integration with major shipping providers like UPS, USPS, Fedex and AU Post delivers real-time quotes before and during checkout. 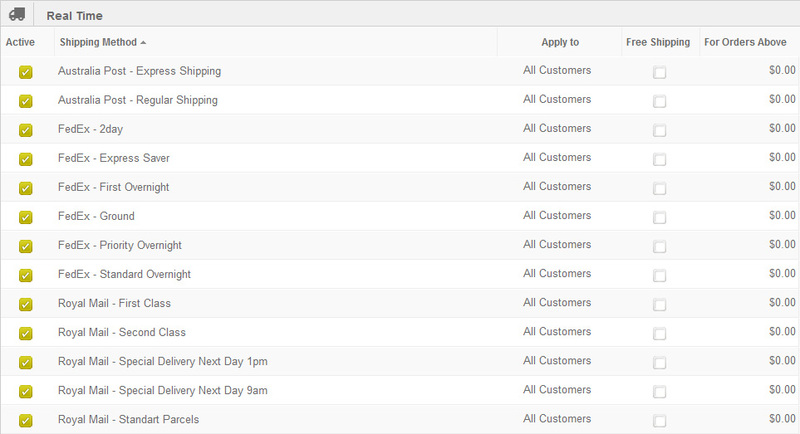 It's easy, fast and accurate. 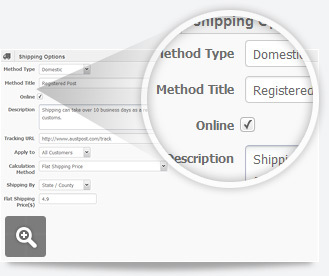 Create your own customized shipping rates with our extremely flexible custom shipping editor. 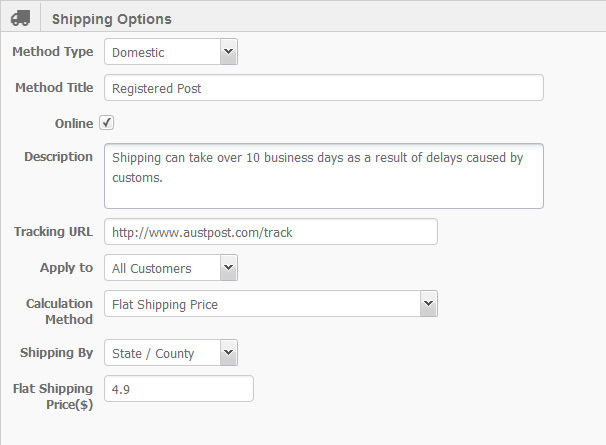 Create rules by using variables like weight, price, post code, state and country. 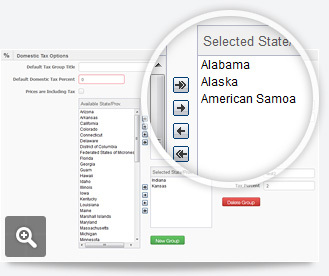 Create custom tax rules based on state and country as well as tax free products option. 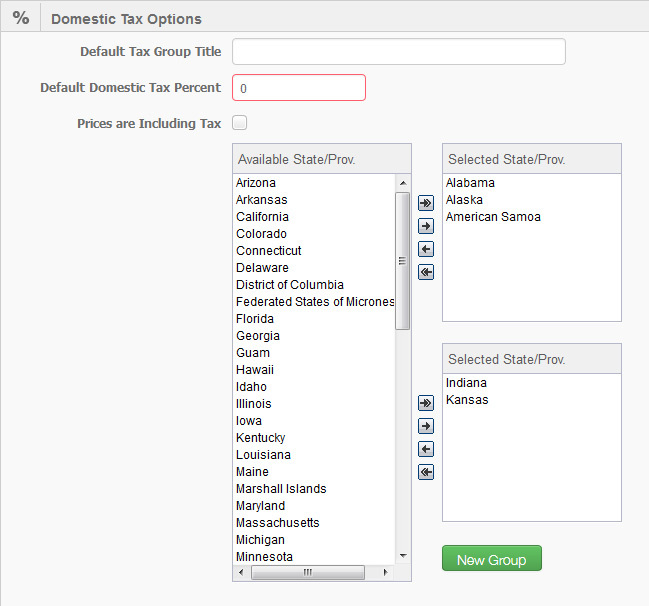 Display your prices including or excluding tax.